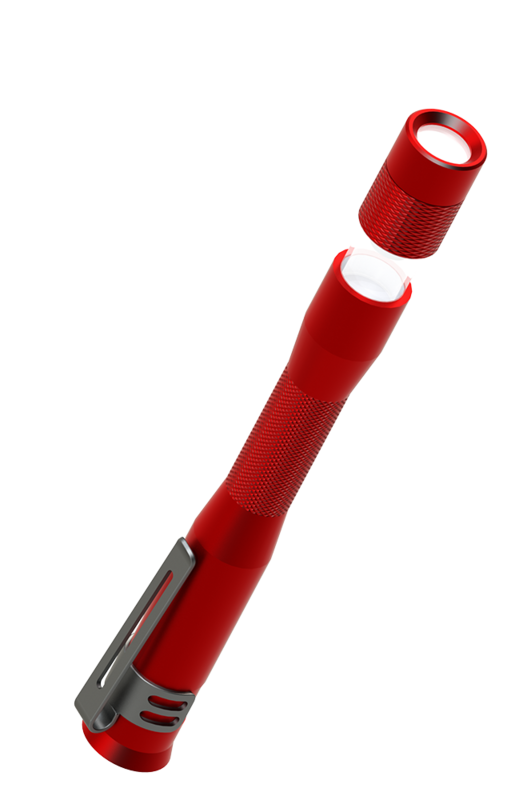 The Pen Light/Work Light is an innovative design that combines the compact design of a traditional flashlight with the utility of a area work light. 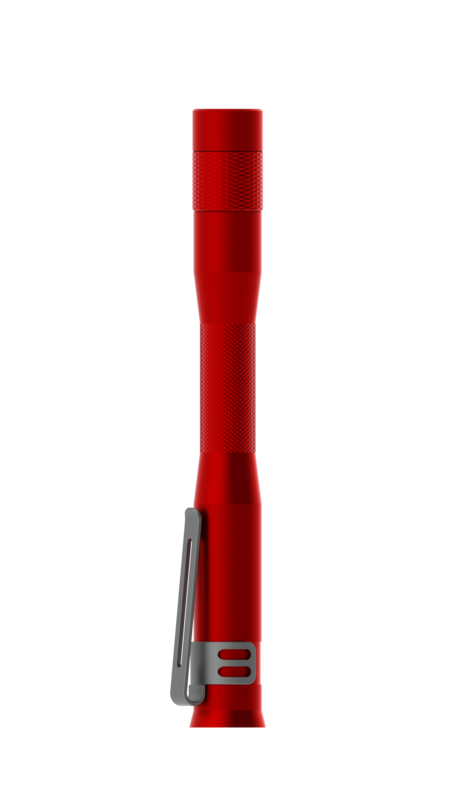 By simply sliding the head of the light up it converts between modes. 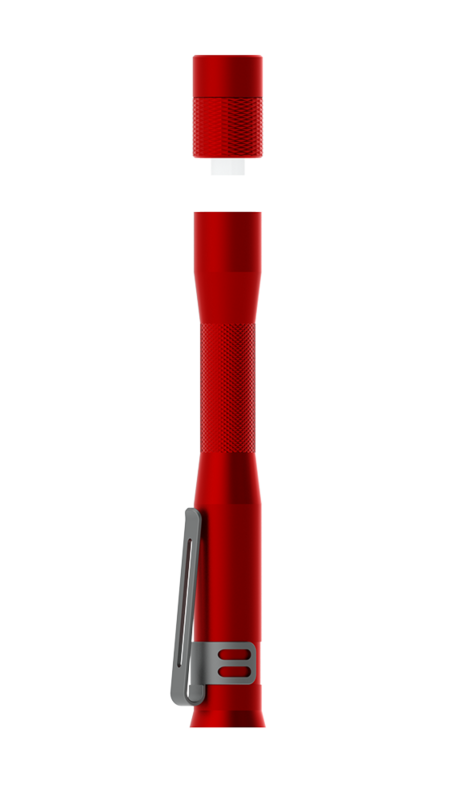 A recessed switch in the base allows the light to stand on a flat surface. 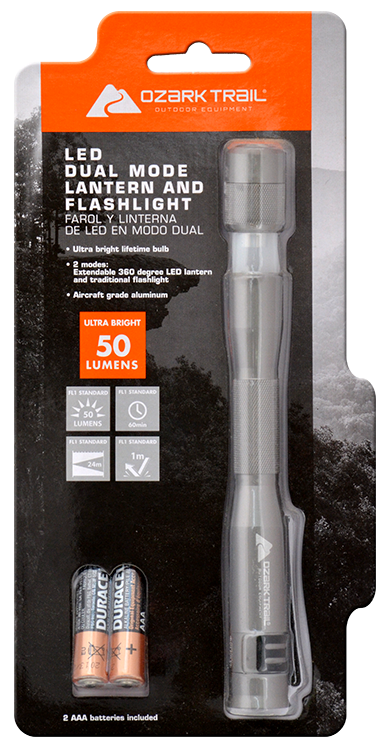 The light has been licensed for sale under the Duracell, Ozark Trail (Walmart) and Garrity brands.